Lønstrup. Poolhouse for 11 persons. Suitable for 1 or 2 families. 500 meter to Lønstrup City and 800 m to the Northsea. Internet. Lyngså Strand. Recently renovated cottage for 4 persons located on a 2.400 m² large, undisturbed nature property. 400 m to sandy beach. New kitchen 2003. Woodburner. Sat-TV. Skallerup - Nørlev. Very well located luxury holiday house, 93 m² within walking distance to Skallerup Klit Holiday Center. Very large site up to a protected area. Ålbæk - Skagen. Nice cottage for 6 persons and 300 m to childfriendly bathing beach, 2 km to shopping, 2 terraces, beautiful nature, 18 km to Skagen. Klitmøller. 100 m² luxus holiday house, 1.850 m² dune site, 600 m frm the Northsea. 8 sleeps, 2 bathrooms, jacuzzi, satTV. Activies: golf, surfing, fishing. Nørlev Strand - Skallerup Klit. 84 m² cottage for 6 persons. 200 m to the Northsea. 3 bedrroms, livingroom and open kitchen, bath. Blokhus - Hune. Absolutly undisturbed holiday house for 6 persons on a large nature property - a perfect place for a nice holiday experience near golf cource and Fårup Sommerland. Lønstrup. Nice holiday house, 77 m² suitable for 7 persons on a 4.000 m² nature property. Because of large trees you have a good protection against wind and insight. Child and pet friendly. The warranty for a nice holiday. Skagen. Newly renovated 168 m2 house in the heart of Skagen. Near the Museum of Skagen, Brøndums Hotel and the childfriendly bathing beach. Bratten strand. Close to Skagen. Well located house for 6 persons. Near fine beach and shopping. No animals. www.klemmen-kippen.dk. The Preis ist 1800,-kr. - 4500,-kr. Lønstrup. Large renovated luxury holiday house for 10 persons on a large property near Lønstrup village. Annex with playing room and a large playing ground with playing house. Tversted. Cosy, loghouse of 68 m2 for 6 persons, standing in beautiful nature in dune, at beach, woods, lakes and many sights. Læsø - Vesterø. 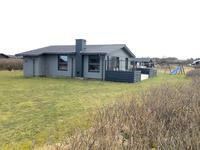 Lovely holiday cottage on Læsø of 80 m2 for 8 persons to let. Situated completely undisturbed on large, childfriendly site. Skagen. Houses in Gl. 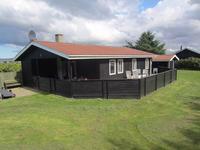 Skagen style for rent in calm, atractive area, 75 m form sea, with view over the sea, heaths and the harbour. The houses has been owned by the famaly since 1845 and are arranged with wonderful, old furniture. Rødhus. Northsea, Westcoast. Wooden house, 4 bets + hems. 5 min walk from the sea at a protected area. Electric heating and woodburner.Bathroom with shower. Skagen. In the heart of Skagen in direction harbour, 2 min. from the walking street and 300 m from the bathing beach. 2 apartments for 4 and 8 persons - can be rented separately or together for 12 persons. Rented per week or weekend getaway. Saltum. Summer houses for 6 persons for rent at a wonderfull beach between Blokhus and Løkken. All houses have closed fireplace, washing machine, sat-TV and radio. See german desciption. Lønstrup. Lovely summer residence with plenty of space for 6 persons (102 m2). Large family room with great kitchen. Three bedrooms with good queen-size beds. Good fireplace and free firewood keeps the house cosy all seasons. Lots of entertainment, child-friendly. Nørre Vorupør. Very well designed and well equipped cottage of 110 m2 for 7 persons. With wonderful views in undisturbed and calm surroundings. 3 Bedrooms. Vorupør. Lovely cottage on 76 m2. Living room with woodburner, sat-TV, bath with shower. Close to sea and beach. Blokhus. Exquisite pool/spa house at Blokhus for 14 persons. Luxurious holiday house in 3,000 m2 private, nature site. The house contains all facilities and conveniences for a good holiday. Grønhøj. Exquisite pool/spa house at Grønhøj Strand for 10 persons. Luxurious holiday house in 2,500 m2 private site. The house contains all facilities and conveniences for a good holiday. Blokhus - Rødhus. Lovely large luxury holiday home with jacuzzi, 150 m2 for 15 persons just behind first dune row in wonderful nature. Large lounge with hems and seaview. Krik/Agger. Here is your opportunity for active holidays by the sea. Thatched house of 200 m2 - 20 m from Limfjorden. Room for 10 persons. 5 Bedrooms. Skagen. Light, modern layout in 128 m2 Skagen house for 6 persons with private garden. Well situated in Skagen Vesterby with 350 m to the sea. No smoking.New bathroom 2012. parking privat 2 cars. Agger. New cottage of 77 m2 for 6 persons + 1 baby, max. 2 years, on enclosed nature site. Close to the North Sea with fine sandy beaches, great nature and water park. Grønhøj Strand. Lovely and well kept summer home with wooden floor for 6 persons on a large hilly site with seaview. 400 m to the beach. Big, light lounge with woodburner and access to a terrace. Open kitchen with access to eastfacing terrace. Blokhus. Luxury holiday house with jacuzzi in 1. row of the dunes, max. 8 persons, 100 m to the beach, 900 m til Blokhus centre. Hou - Hals. 135 m2 luxury cottage from 2004 for 8-10 persons. 4 bedrooms, open loft, and 2 bathrooms. Beach, harbour and town within walking distance. 2 bathrooms, spa and sauna. Close to golf course, put and take, and swimming pool. Ålbæk - Skagen. 2 Apartments: A: 2-1/B 2+2 the apartments have a small kitchen, bathroom with shower. Terrace w. furniture /barbercue in nice garten. Shopping 200 m. Nice sandy beach and Harbour within 700 m.
Vorupør. The Northsea. Private, wellkept holiday house of quality for 6 persons, situated in quiet nature area. Slettestrand. Unique house with sea view in wonderful nature area. 112 sq.m. 4-6 persons, 2 bedrooms. The house stands close to the old fishing village and the beach. Ålbæk - Skagen. 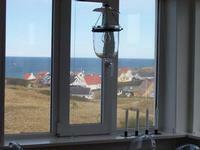 Lovely cottage in Skagen/Ålbæk of 82 m2, with room for 8 persons 4 km from golf course. Large dining area, lounge, bedroom, 2 bunk rooms each with two bunks. 2 open loft areas. Nørlev Strand - Skallerup Klit. Good cottage of approx. 60 m² for 5 persons and glimpse of the sea. 200 m from lovely, child-friendly sandy beach. 1 km from Skallerup Holiday Centre. Lounge/kitchen and 2 bedrooms. Roofed west terrace. Tversted. Charming, well-kept holliday cottage of 82 m2 for 6 persons. diningroom/kitchen,sittingroom, 2 double bedroom, room with bunk beds. 2 terraces with morning/evening sun and fine shelters.Furnitures on both terraces. Firewood at your disposal. Ålbæk Strand. Family-friendly cottage 65 m2 for 6 persons. 3 bedrooms. Surroundings of wonderful nature. Only 350 m from child-friendly beach. Skagen. Apartment in wonderful villa in centre of Skagen for rent for 4 people on weekly basis. Vorupør. Totally refurbished, charming all-year house, 150 m2 for 8 persons in Sdr. Vorupør. Light and modern furnishing - suitable for 2 families. Tornby Strand - Hirtshals. New cottage for 8 persons. All accomodations, Whirlpool etc. 2500 m2 nature property. 600 m to the Northsea. Wonderful sandy beach. Pets OK.
Skagen. Cosy and well situated SkagenHouse of 80m2 in 2 levels near the harbor, beach and town. The house was renovated in 2005 and includes 2 bedrooms, large kitchen / dining area, bathroom with shower. Private terrace with garden furniture and barbecue. Hals. Large, new-built, architect-designed luxury cottage with jacuzzi, 125 m2 for 8-10 persons, 100 m from the beach. 2 bathrooms, 3 bedrooms, 2 open lofts. Private site: http://viggodahl.googlepages.com/. Hals. Lovely, new luxury cottage build in 2007 of approx. 120 m2 with all modern facilities such as jacuzzi, 2 toilets and two living quarters, sauna, microwave, tumbler etc. The house is low-energy and has oil-fired central heating. Hirtshals - Tornby strand. Charming summerhouse, sleeps 5-6 persons approx. 500m from fine beach near Hirtshals. 2500 m2 site, 2 terraces and roofed terrace. Many interesting sights in the area. Blokhus - Hune. Lovely cottage for max. 6 persons on large undisturbed nature site. The house is 78 m2 and has 3 bedrooms, 1 bathroom. Sat-TV. Only 2900 m from the sea. Grønhøj - Løkken. Lovely luxury jacuzzi house close to the sea for 8-10 persons. Large wellnes room with jacuzzi, woodburner and sat-TV. 3 large terraces. Free internet. Klitmøller. Lovely cottage for 6 persons close to the Nationalparc and a 18-hole golf course. The cottage is a brick house of 108 m2 with a roof of tiles. Grønhøj. Luxury cottage, 104 m2 for 8 persons with whirlpool and sauna between Løkken and Blokhus. The house has all modern facilities. 3 bedrooms and open loft. Dayz Grønhøj Strand. Lovely holiday flat in Dayz Grønhøj Strand - a holiday resort with water park, outdoor pool, multi hall, tennis, minigolf, big playground, restaurant. Also suitable for 2 families or for family gathering by renting several houses. Grønhøj Strand. Exquisite pool/spa house at Grønhøj Strand for 10 persons. Luxurious holiday house in 2,500 m2 private site. The house contains all facilities and conveniences for a good holiday. Blokhus. Wonderful cottage in nature close to the beach in Blokhus. Kitchen/dining area, low-level lounge with panoramic views of nature, 3 bedrooms. 100 m2 terraces and undisturbed land. Ålbæk - Skagen. Lovely redecorated summer cottage for 4-5 people near super lovely, child-friendly beach. The house stands north of Ålbæk, where there are good shopping possibilities. Only 20 min. driving for Skagen. Kandestederne - Skagen. Modern cottage, 6 persons in Kandestederne at the North Sea coast. Beautiful nature and view of high dunes. Near beautiful Skagen, Råbjerg Mile and large protected nature area. Well kept wooden house of 60 m² with 3 rooms and living room w. firestove. Krik Vig. New cottage of 77 m2 for 6 persons + 1 baby, max. 2 years, on enclosed nature site. Close to the North Sea with fine sandy beaches, great nature and water park. Blokhus. Family-friendly and newly refurbished cottage with room for being together summer and winter. The house is close to town and beach with holiday atmosphere in private (enclosed garden) nature surroundings. 4 bedrooms. Klitmøller. Luxury holiday house for 10 persons for rent in the small fishervillage. Beautiful area with possibilities for a lot of exiting activities. Free Internet. Bratten - Kvissel. Large house with atmosphere (former artists home) in village in wonderful moraine land of Vendsyssel. Suitable for family of 5. Close to wood and beach and all kinds of experiences at the top of Vendsyssel. Hou - Hals. The house is 91m² large and was built in 2008. It is located in a quiet cottage area near the small, cosy fishing village of Hou in the north of Jutland. Open kitchen, living room, 3 bedrooms. Skallerup Klit. Lovely cottage (80 m2) with room for 6 people close to the North Sea. Light house, large fine bedrooms and lovely large terrace with sun all day long. Lønstrup. Super lovely spa house of 89 m2 in 2 levels for 8 persons. 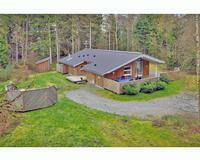 700 m from the sea, situated next to a nature area. The house is equipped with TV, DVD, washing machine, dishwasher, all kitchen facilities, playing house, equipment for children, etc..
Hals. Luxury cottage in Hals, Northern Jutland - ONLY 100 m from great beach. 95 m2 with four bedrooms. Large, light living room, well-equipped kitchen and two bathrooms - the big one with whirlpool and sauna. Hals. Exclusive designer cottage with whirlpool/sauna. 120 m2 + 100 m2 partly roofed terrace. 4 bedrooms. A house for the discerning guest who appreciates quality and modern design. 400 m to the sea. Klitmøller. Charming cottage with a wonderful southfaced terrace with own sand dune as nearest neighbor! Newly-built annexe with double bed for extra flexibility. Klitmøller is a popular holiday resort with beautiful beaches, clean water and pristine nature. Bratten Strand. Luxury pool house for 10 people of 138 m2 located on lovely, undisturbed 2700 m2 land. Close to great, white, child-friendly beach with high dunes. Blokhus. Truly great luxury cottage with whirlpool and sauna. Fine location in Blokhus on wonderful nature site. The house from 2008 has all modern facilities for a perfect holiday. Tversted. A cosy and well furnished cottage located in Tversted in beautiful surroundings. Living room with open kitchen, 3 bedrooms and bathroom. Lønstrup. Well-equipped luxus house with large, bright rooms. Renovated in 2006 with new kitchen and hardwood.The house is modern in the cosy Danish style. From the lounge you have access to the covered terrace. Located at the end of a dead end road. Grønhøj. Luxury swimming pool house for 8 persons. 148 m2 from 1988 in wonderful nature with large sandpit and swings. Large swimming pool room with sauna. Tolne - Frederikshavn. Woodland house for 4-5 persons with unique and completely undisturbed location, a gem for nature lovers. See the roe-deer on the lawn if you rise early. Lønstrup. Lønstrup, holiday home, 81 m2 on the upper floor with south west facing terrace. Wonderful view over the sea and Lønstrup. The property is newly refurbished and has lounge, kitchen, 2 bedrooms, each with a double bed, bathroom. TV, Radio, CD. Blokhus. 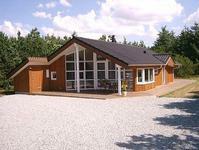 Summerhouse 85 m2 for 6 people on wonderful nature site. Lounge, 2 bedrooms, bathroom and annexe. 1 km to fine, wide sandy beach in Blokhus and close to dune landscape. Close to Fårup Sommerland and water park. Bunken - Ålbæk. 100 m2 new, well equipped luxury cottage for 6+2 people with Whirlpool and sauna south of Skagen. Well located on undisturbed south-facing nature site overlooking the fields. Lounge, open kitchen, 3 bedrooms and open loft, 2 bathrooms. Lønstrup. Cottage, exclusively arranged for 4 + 2 persons, in beautiful suuroundings. Fine leisure possibilities: bathing beach, bathing center, cafes, exercise, craftsmen, lovely village etc. Klitmøller. Lovely cottage for 6 people in Klitmøller - in the middle of Nature Park Thy close to the North Sea. Lounge, open kitchen, 2 bedrooms and a bunk room, bathroom with shower. All equipment and furniture are new. On sunny south-facing dune with fine shelter. Skagen - Hulsig. New summerhouse, 89m2 with 3 bedrooms with 6 beds + open loft for two children. Child-friendly bathing beach 200m, Skagen 10km, Hulsig 1km. Saltum. Wonderful thatched holiday house for 10 people with sea view, located in protected area close to outstanding beach. Historic but refurbished with modern facilities. Kitchen, dining room, living room, 4 bedrooms, 1 bathroom and 1 shower stall. Klitmøller. 2 lovely cottages in Klitmøller with only 100 meters to the North Sea with one of the best beaches in a scenic area with opportunity for surfing, golf or biking / hiking in Denmarks first national park. Neighbouring houses with 2 and 3 bedrooms. Nr. Lyngby - Løkken. Lovely cottage on large secluded plot with views to Rubjerg Knude. Living room with fireplace, 2 bedrooms, 1 childrens bedroom and bathroom. Contact us for a quote - discount for multiple weeks. Short distance to cosy Lokken and interesting Lønstrup. Klitmøller. Tolderhuset. Whitewashed fishing house, beautiful and modern design with ample room for 6 people in 3 bedrooms, 2 bathrooms. Cold Hawaii: close to surfing beach and secluded, idyllic location in the Nationalpark Thy. Klitmøller. Cottage in Klitmøller. Between sea and fiord in varied nature area. 102 m2, well refurbished, light and inviting. Ample living space indoor and out. 4-6 people. Used privately and for rent. Ålbæk - Skagen. Annexe 2 adult + children. Lounge with 2 beds - sofa group, radio and TV. Kitchen with dining area. Bathroom. Loft with 2 beds. Private entrance, terrace with garden furniture and barbecue. Parking space. Close to beach, forest, town / shopping. Skagen - Kandestederne. Beautifully situated holiday cottage of 60 m2 overlooking the dunes and fields. The cottage is suitable for 5 people. Close to Skagen and stunning beaches and many leisure activities for the whole family. Skagen. Two lovely holiday flats, each for 6 people, central location in Skagen. Private parking and patio. The flats are in an old house in an old part of Skagen close to Skagen Museum and Brøndum's Hotel with 3 min walk to the lovely Sønderstrand beach. Læsø. Cosy cottage on Læsø - peaceful log cabin of 60 m2 few meters from the protected nature of Læsø's northern tip. 3 bedrooms. Ample opportunities for walking and hiking in the woods, the dunes and the beach. Cycling distance to grocery store and fish shop. Ålbæk - Skagen. Light and friendly cottage for 6 people close to one of the best beaches in Denmark. Approx. 2 km to lovely Ålbæk and 20 km to Skagen. Lounge with open kitchen, 3 bedrooms. Light, modern colours, several terraces and lovely garden. Ålbæk - Skagen. Wonderful cottage of 98m2, super location at beach and open space and close to wood. 3 bedrooms, lounge with wood stove, elec. heating, air condition, sat-TV, large kitchen with every equipment, bathroom with whirlpool and shower. Læsø - Vesterø Havn. Charming and spacious fishing house for 5 people for rent. close to child-friendly beach. 2 lounges, 3 bedrooms. Personal decoration and refurbishment. Centrally located for all fine experiences on Læsø. Agger. North Sea and the Limfjord. 189 m2 Comfort house in 2 storeys with room for 13 people. 3 bedrooms and lounge with 4 extra beds. Centrally located for angling, golf, swimming and surfing. Neighbour of Nationalpark Thy and Lodbjerg Klitplantage. Agger. The North Sea. Pool house in Agger at the North Sea. 285m2 for 16 people on large 2700 m2 site with fine wind shelter. Nature, angling, bathing, surfing, golfing. House of opportunities for children and adults. Kitchen/family room, lounge, 6 bedr+2 bathr. Nørre Vorupør. Luxury holiday house for 8 people. 4 bedrooms and 2 bathrooms. Magnificent views south to the river and dunes. Close to the North Sea and Thy National Park. Ålbæk - Skagen. Charming holiday house for 4-5 people for rent in nature surroundings at Ålbæk Bay. Lounge with open kitchen. 1 bedroom, 1 bunk room and annexe with bunks. Ålbæk boasts the beach and a marina/fishing harbour and fine shopping and dining. Skagen. 130 m2 house near the Skagen center for rent. The house is nicely furnished with cosy hall, a large bright L-shaped lounge and 3 bedrooms, one of which is located quite secluded from the house's other rooms. Lovely garden with fruit trees. Lønstrup. Very well equipped - very child friendly - holiday house for 5 persons for rent all year round. Ca 350 m to a childfriendly sandbeach with dunes. 3 bedrooms. Hou. Lovely cottage with south facing terrace with sun all day / evening. Large garden. 2 bedrooms with double beds, bathroom with shower, open kitchen and large living room. Close to the lovely harbor and sandy beach. 1100 m to shopping. 1100 m to minigolf. Aalbæk - Skagen. Luxury cottage for 8 people in Bunken Plantage between Aalbæk and Skagen. Located on 5000 m² land in undisturbed nature shielded from the wind. 200m to hole 10 of Hvide Klit Golf Club. Aalbæk - Skagen. Charming cottage for 6 people in Bunken Plantage between Aalbæk and Skagen. Lounge with family kitchen, 2 bedrooms and an annexe. Located on 5000 m² land in undisturbed nature shielded from the wind. 200 m to hole 10 of Hvide Klit Golf Club. Tversted - Bindslev. Apartment in a former power station, nice located in quiet surroundings at a small river, a beautiful fish ladder and a natural playground. Large dining kitchen, double bedroom, bedroom with 4 bunk beds, bathroom with shower, livingroom with TV. Skagen. The house is fantastic situated with a magnificent view of the heath and the Buried Church. Short distance to the beach and center of town. Free Internet and consumption. 3 bedrooms. The house has large windows and is light, perfect for a relaxing stay. Nr. Vorupør. The house is situated in the best part of Nr. Vorupoer close to the beach and shopping. Sleeps 4, 1 double, 2 single beds, fridge with freezer, microwave, etc. The house is one of three houses and it has 2 terraces. Læsø - Østerby. Lovely summer house for six people with fine location in Østerby approx. 100 m from harbour, shops, restaurants and at one of the best beaches on Læsø. Energy-friendly heat pump. A spacious and light house with a large lawn, fruit trees and sun all day. Skagen. Farm (newly renovated) with own beach by the Kattegat. 172 m2, 8 persons, 3 bedrooms + nursery. The farm is located in one of Denmark's most beautiful natural areas. The U.S. TV network CNN has identified the beaches of Skagen as 66 in the world. Lønstrup. Lovely holiday home in Lønstrup with hot tub - min. 6 people. Delicious black cottage. Bright and well-equipped kitchen. Nice living room and bathroom with spa and sauna. Tversted. Cottage centrally located in Tversted village on 1300 m2 plot. About 500 m to one of the country's best beaches and to a grocery via paths or roads. Nice terrace with good shelter and electricity. You can find many activities nearby. Blokhus. Blokhus village. New 119 m2 luxury holiday house for 8 persons. 4 bedrooms, 2 bathrooms, hems, jacuzzi, fridge-freezer with ice machine, 500 m to the North Sea. Ålbæk - Skagen. Well maintained, recently renovated cottage near the best beach. 3 bedrooms, bathroom with shower, kitchen / living room, 3 terraces - a cosy house, where everything is 100% pure, light and friendly. Ålbæk - Skagen. Well equipped cottage of 67 m2 for 4 people. Only about 150m to child-friendly beach with dunes. Nature land with heather and small firs. Lounge, open kitchen, 3 bedrooms, Sat-TV. 2 large, sunny terraces with garden furniture, parasols and grill. Aalbæk - Skagen. Very well equipped - very child friendly - cottage for 5 persons for rent all year round. Approx. 350 m to a childfriendly sandy beach with dunes.